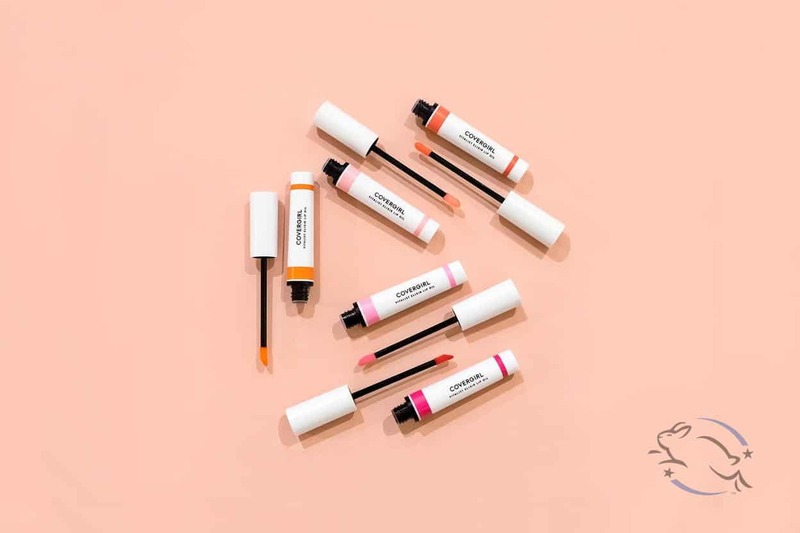 Benefit is one of those companies that most people assume are cruelty-free, but unfortunately, they’re wrong. 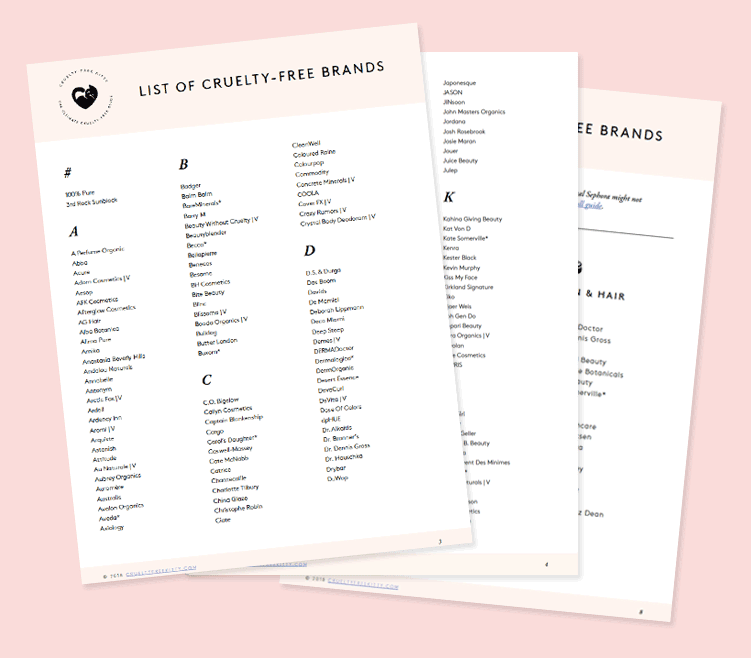 If you’re new to the cruelty-free world, keep reading to find out why Benefit can’t be considered cruelty-free. Does Benefit test on animals? 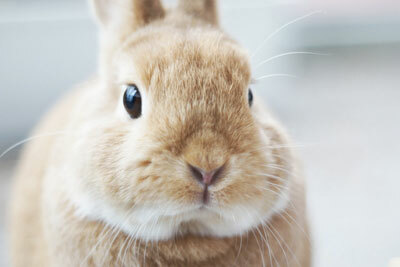 Benefit does not test our products on animals. 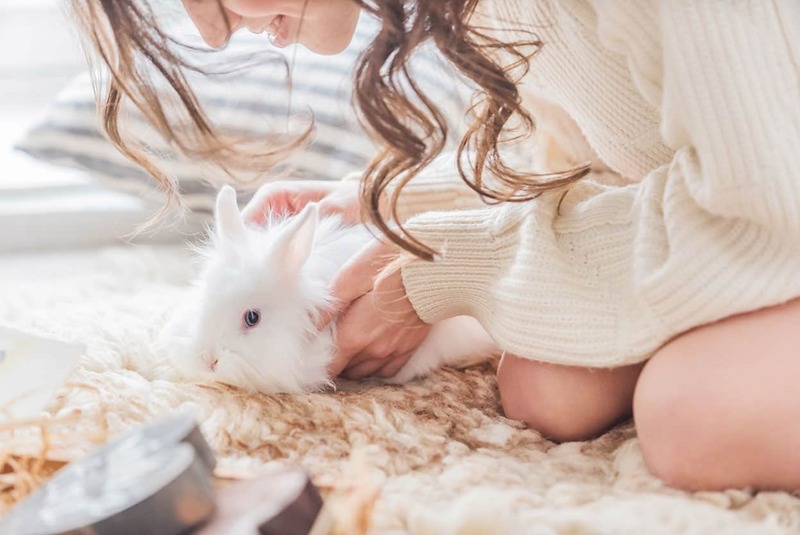 Since 1989, the Perfumes & Cosmetics companies of LVMH group (including Benefit Cosmetics) have not performed any tests on animals for our products – this was implemented long before the 2013 official ban set by the European Union. We are hopeful that alternative testing methods will be adopted worldwide and we will see an end to animal testing. 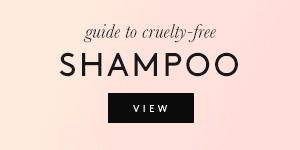 If you only read this statement, you’ll probably assume that Benefit is a cruelty-free company. However, they didn’t address the full picture. 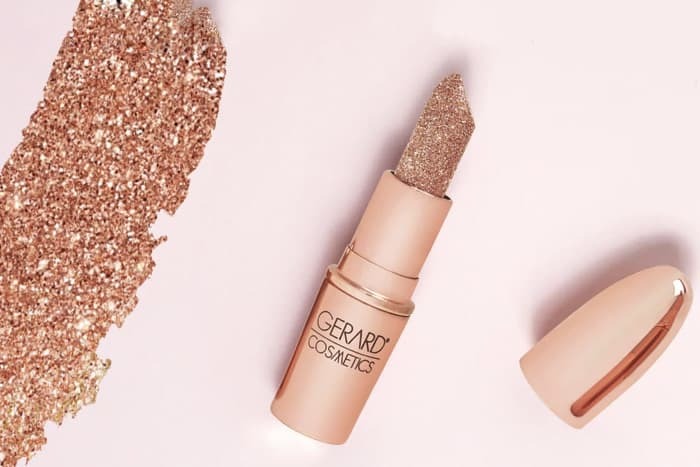 What they’re telling us is that their finished products aren’t tested on animals by them, which is the case for most cosmetics companies today. The last sentence however hints towards something else. They’re saying that they’re “hopeful that alternative testing methods will be adopted worldwide”. 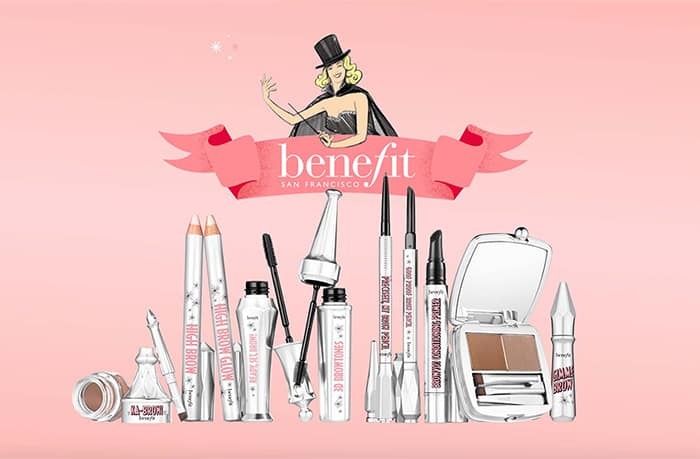 Why is benefit so hopeful? Because they sell in markets which require animal testing by law. 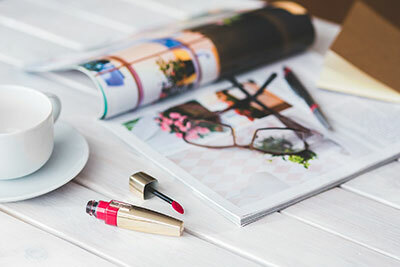 Mainland China (the Chinese territory excluding Hong Kong) requires all foreign cosmetics companies to comply with their animal testing laws in order to sell their products there. 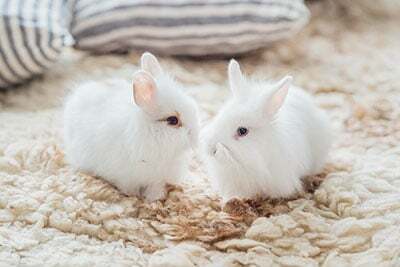 This means that any American or European cosmetics brand that wishes to enter the Chinese market must agree to have their products tested on animals. Not only that, but they also pay for these tests. So when Benefit tells us they’re “hopeful that alternative testing methods will be adopted worldwide”, what they’re telling is that they test on animals where required by law, and sell their products to mainland China. If you ask me, it’s a subtle and misleading way of putting it. How do we know that Benefit tests on animals where required by law? Because they previously stated so explicitly on their FAQ. Shin Kong Place is a high-end department store in Beijing, mainland China. 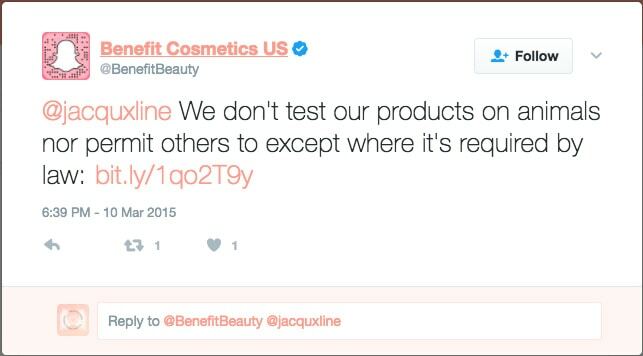 Even with the changes made to their FAQ, Benefit’s real animal testing policy is the following, as stated in this tweet from 2015: they don’t test on animals unless required by law. 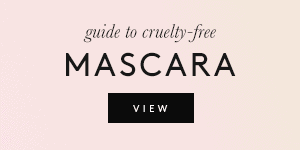 Benefit is NOT a cruelty-free company and they DO test on animals where required by law. Their current FAQ is misleading and doesn’t give us the full details of their policy. 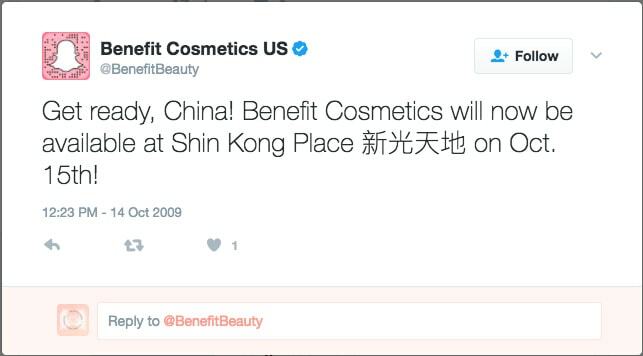 If you’re a fan of Benefit Cosmetics, please contact the company directly and ask them to pull out of mainland China in order to gain their cruelty-free status. 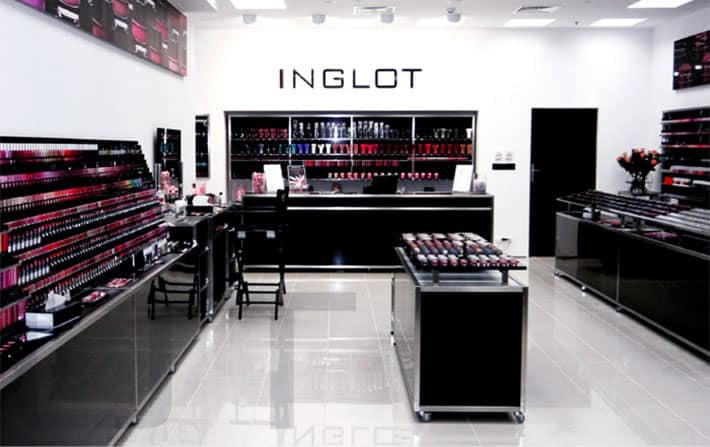 If Benefit stops selling products to mainland China, they will become a cruelty-free company. 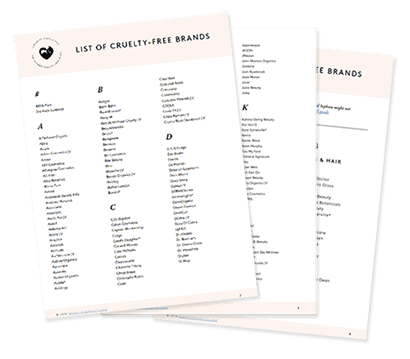 If you’re boycotting the brand until they go cruelty-free, let them know! The more people reach out to Benefit, the more chances of them listening and completely ending their animal testing. Thank you so much, Gabbie! Good luck on your cruelty-free journey! Hiya I’m bocotting Benefit until they are cruelty free!! I agree with the above statement. If they are supplying completed products to the Chinese govt then benefit is correct in their no testing on animals statement. It’s the Chinese govt that is doing the dirty work. I understand the concern of course and you can request that they pull out of that market. 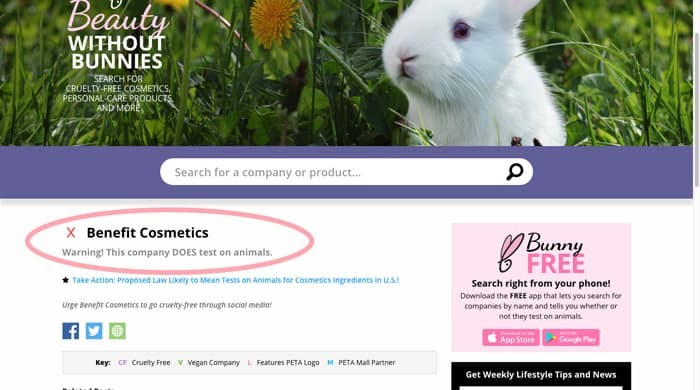 But the company is not testing on animals and that is a truthful statement based on the info on their site. Late to the party but I just tried to find more confirmation for this. Apparently every brand that sellls in China pays for the animal testing in order to sell it there. So basically the make-up you buy isn’t tested on animals, untill it gets to China where it pays to get tested to get in. So the statement to message benefit asking them to stop that might actually be helpful. If they were cruelty free they would stand up to China and not sell to mainland. It’s not going too far to say their statement is misleading. There is NO excuse for animal testing, Emma. It is disingenuous at best for a company to say it doesn’t test on animals knowing a country to which it markets its products will. Perhaps if we boycott companies exporting to China then eventually either the companies will stop the trading or China will stop testing. I’m not confident of enough support, given the massive number of products tested here in the US which millions purchase. I’m just one person but I do my part. Thanks for this clarification about the Chinese factor. This information turns me off Benefit, whose products I *was* considering trying, in a huge way. Not only do they agree to animal testing, it looks like they’ve attempted to sugar-coat, if not be downright deceptive about, their policy. I get that they need to obey the law in the countries in which they sell, but … a company does not HAVE to sell in China. I’ll keep shopping companies that share my principles. I’m so glad I read this, Benefit Cosmetics is officially off my Christmas List! 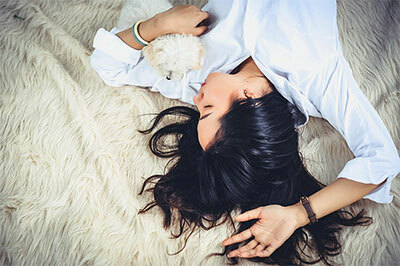 Hi Suzy, I love your blog! Thank you for doing what you do. I hope you can help me find a cf alternative to Benefit’s Dr Feelgood product. I stopped using them when I found out they sell in China but as my skin isn’t looking so great right now, I’d love an alternative. Thank you! I hate the thought of people testing products on Animals, I am a big animal lover? ?